Beverly was received with grace unto our Lord on April 11, 2019. She was predeceased in 2004 by her loving husband, Charles H. MacIntyre; her parents Martin and Nellie (Zetynsky) Kula. She is survived by her children: Suzanne Drangenis, her husband Steven and their children Danielle and Michael of Windsor Locks, CT; Sharon Evans, her husband Richard and their children Jeanette Yuodis and Morgan Evans of Rockledge, FL; Amy Wimpfheimer and her husband Robert of Catawissa, PA. Her stepchildren: Hale and Louise MacIntyre, Russell and Charlene MacIntyre, Maryellen and Tom Bonelli, George MacIntyre and their children. Beverly graduated Nursing school in 1963 in Hartford, CT. She went on to receive her Bachelors in Nursing in 1986. She worked in the medical field all her life, it was her passion. She started out caring for patients in the ICU/CCU, worked with various hospitals and doctor’s offices until the end of her career in Nursing Home Administration. Upon retirement, Beverly and Charles (Mac) traveled the East Coast extensively in their RV. They finally settled into Melbourne, FL in 2002. Her grandchildren were the absolute light in her life, she spent years enjoying her role of “The Gramma”. As well as spending time with her grandchildren; Beverly enjoyed reading, painting, writing poetry, volunteering for the local library and hospital. She loved playing cards with “The Girls” and spending time with her friend Joe and her precious dog Luci. A memorial service for family and friends will be held on April 17, 2019 @ 11:00 a.m. at the Beckman-Williamson Funeral Homes Viera Chapel, 5400 Village Drive, Viera, FL 32955. In lieu of flowers, Beverly’s family asks that donations be made to: Holmes Regional Health First Foundation for Neurosciences (hf.org) or The Animal Sanctuary, 5000 N. Wickham Road, Suite 110, Melbourne, FL 32940 (TheAnimalSanctuary.org). 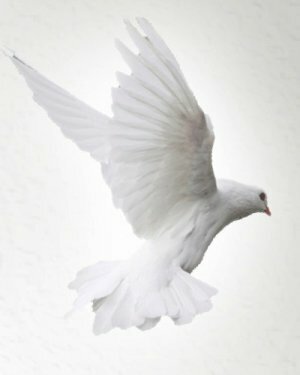 If you would like to post a condolence or memory, please visit: www.beckmanwilliamson.com.